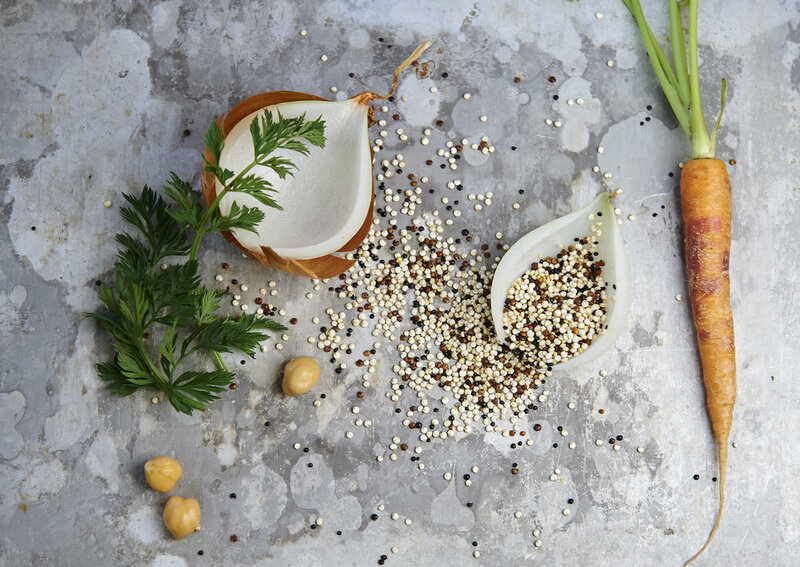 We’re Roots and Grains, and we’re a vegetable loving dream team on a mission to revolutionise plant-based convenience food. Call us bold, but we really believe that lip-smackingly delicious plant-based food should be available for everyone without ever compromising in price or quality. It all started with a trip to California that changed our perceptions of what was possible when cooking with plants alone. With the huge range of health benefits and not to mention the positive impact it could have on the planet, we soon made the switch. Returning to the UK it soon became evident to us that there was a complete lack of ability to access such food so readily, conveniently, and at an affordable price. Based in London, we've become completely passionate about allowing everybody to access great plant based food at home. No matter your budget or your lifestyle, we're here to deliver restaurant quality fresh foods to easily cook at home with your family and friends! Simple!